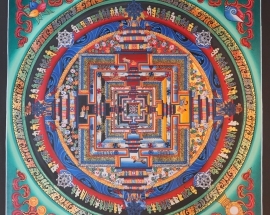 Buddhist Mantra Mandala is hand painted by the artist living in Bhaktapur, Nepal. 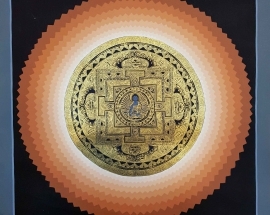 Mantra Mandala is a device for the Tantric meditation. 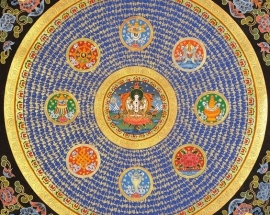 Mandala is a religious painting which is used for Tantric meditation. 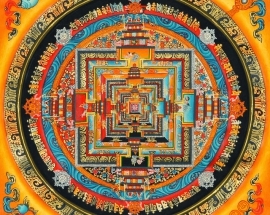 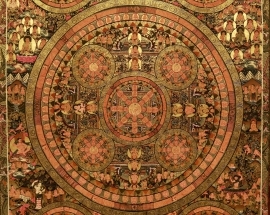 Mandalas is the graphical representation of the visions. 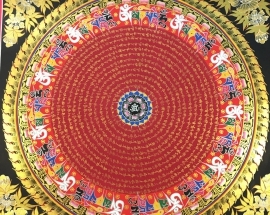 This beautiful Mantra Mandala is hand painted by the Artist in Bhaktapur, Nepal. 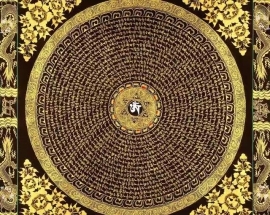 This is one of the important Buddhist Mandala for focusing. 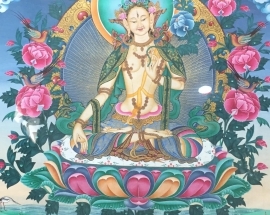 White Tara is peaceful deity sitting in vajra posture above a moon disc and lotus seat she is surrounded by a nimbus of various colored rings and with pink lotus blossoms. 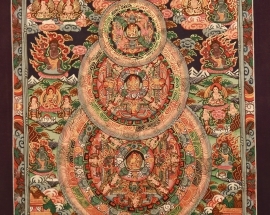 This beautiful Amoghasiddhi Buddha mandala with 5 Dhyani Buddhas is hand painted by the Master Artist from Bhaktapur. 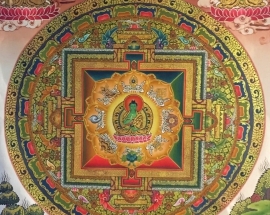 This is the mandala of Green Buddha which is traditionally the Laughing Buddha, bringer of prosperity. 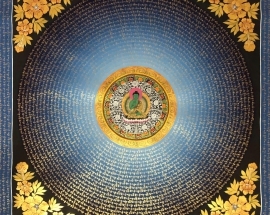 Mandala of the Medicine Buddha is beautifully handcrafted by the professional artist from Kathmandu Nepal. 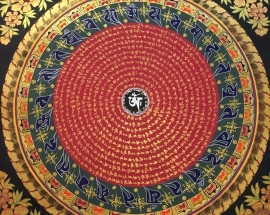 Chenrezig is in the center of the mandala surrounded by Mantras and 8 auspicious symbols. 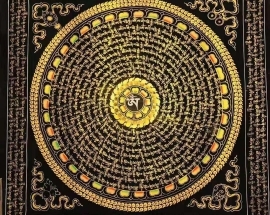 Om Mani Padme Hum is the mantra of Chenrezig. 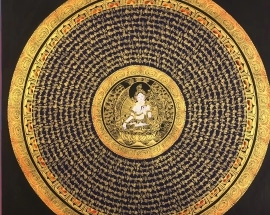 Mantra Mandala with Dragon is handpainted mandala in a black cotton canvas with golden color.